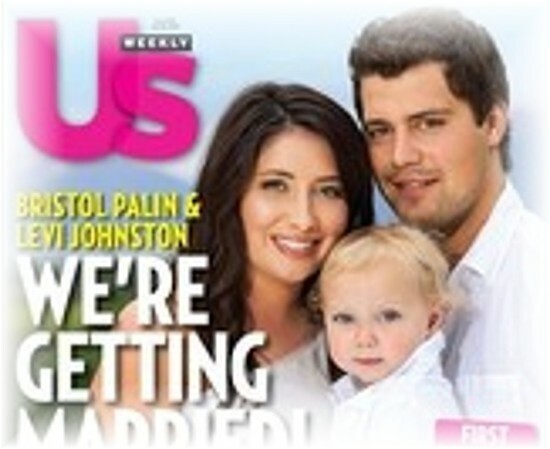 It’s not often that I write about well-known people, but the news that Bristol Palin and Levi Johnston were getting married kinda got to me. I thought of all the young women in her shoes. Most of us have been there: deeply in love, stars in our eyes, he can do no wrong; mom and dad just have to like him, I want to marry him. Then everything goes south and we’re left in a daze wondering what went wrong. Bristol Palin will always carry more pressure than most, which probably had a lot to do with the first break up. Still, when a woman gives birth to man’s child that is when love rules. Baby Tripp must come first. One day Levi’s son may ask him: “Did you say that Grandma called Trig retarded?” Trig is Bristol’s brother who has Down’s syndrome. Tripp could possibly come across a photo of his dad when he posed for Playgirl. There is certainly the chance that Tripp may be embarrassed by viewing the music video his father is supposed to make mocking the Palin family. “He texted me,” she gushed: “I miss you. I love you. I want to be with you again.” Those words slammed her right in the heart, set it afire. When Bristol read “miss you” and “love you” she was instantly reeled back in. She was blind to the I, I, I … to the fact that Levi did not look her in the eye when he said those words. Within weeks the I factor came into play again. On the day the couple announced they were engaged again Levi had some private news for Bristol. Said there might be another woman pregnant with his baby. This is the absolute unforgivable sin by a man; a woman’s heart can’t handle the pain. Yes, love is blind. We tend to remember the good and forget why we parted in the first place. What do you think … will Bristol take Levi back yet again? This entry was posted in people and tagged blind, Bristol Palin, child, engaged, Levi Johnston, love, marry, News, pregnant, pressure, texted, Tripp. Bookmark the permalink.